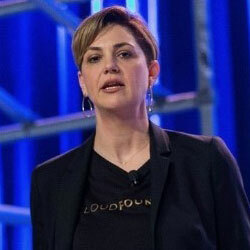 Enterprise Times caught up with Abby Kearns, Executive Director, Cloud Foundry at KubeCon. It was a chance to reflect on what had been a very busy year for Cloud Foundry but also to ask Kearns what she was seeing across the industry. 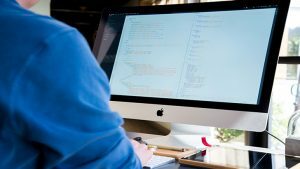 One of the big challenges for developers is that as they move to writing apps that are cloud native they are being told that they need to do more than adopt a new platform. They have to change the way they code, deploy and distribute especially with the emergence of containers and serverless. Kearns believes that developers should not approach this as doom and gloom. The key is to accept that cloud native architectures require a lot and embracing them rather than making them fit existing models makes it easier. This also means embracing the cultural change that cloud native brings. This cultural change affects the whole enterprise IT as much as developers and that can be a little off putting. Getting people to accept change and working in a new way is hard and so it adopting new technology and approaches. Kearns likens it to adopting autonomous vehicles. When people first try an autonomous vehicle they feel uncomfortable. When it does things for them such as steering, they are unsure how they feel about that because they no longer have that control. The machine is making decisions for you. Moving to a cloud native world is no different. In this podcast, Kearns also talks about the challenges of accepting the constant change that is happening. This is not just an issue for developers but something that Cloud Foundry has dealt with since its inception. It has constantly adopted and accepted changes to technology as part of its delivery model. Can Avere FXT move NASA’s data universe?